The photos above were taken just this morning, during the United Nations Day Parade at Thea's school. As you can see, she's representing USA. At first, I thought of an US-flag inspired costume but due to limited time, my sister and I decided to buy a gown at Divisoria... 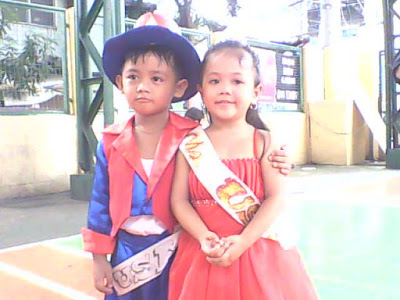 I so love that red gown... Sorry for blurry pictures coz only I used my cell phone camera. I'll post much better photos once I have the studio shots scanned. Wow! 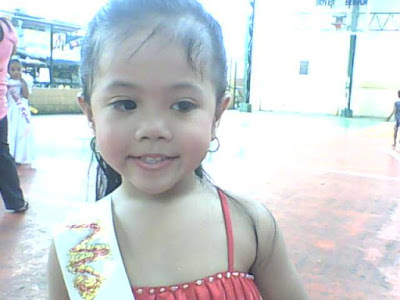 Ang cute naman ng daughter mo! So adorable! 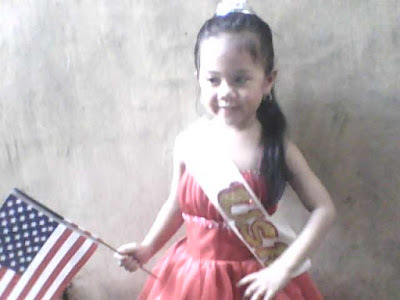 Inggit ako kasi my daughter don't have a UN thingy eh pangarap ko pa namang maging Ms. Universe sya dahil ang mom nya si Ms. Earth wahahahaha! lolz! thanks, Ms. Earth. grabe, one proud momma talaga ako kahapon dahil stand-out daw ang daughter ko hehehe. 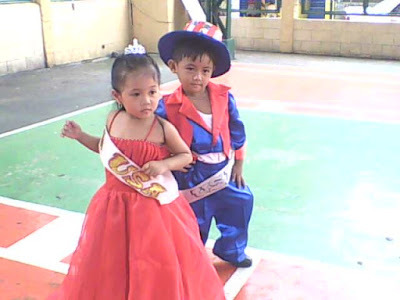 nadaan yata sa ganda ng gown wehehehe.